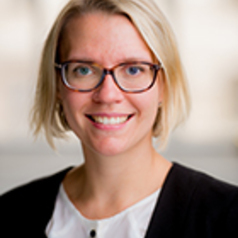 Dr Emmy Eklundh completed her PhD in Politics at the University of Manchester. She also holds an MA in International Relations: Global Governance and Social Theory from Jacobs University Bremen/University of Bremen, Germany. In addition, she holds two Bachelor degrees in Political Science and Latin from Lund University, Sweden. Prior to joining the Department of European and International Studies, she taught courses in International Politics at the University of Manchester and the University of Leicester. Emmy’s research is mainly centred around two main themes. First, Emmy has researched and published on the post-crisis eruptions of protest in Southern Europe and in particular the Indignados movement in Spain. She is especially interested in how this ties in with questions of democratic theory as well as social theory at large. Second, Emmy is working on the current expressions of left-wing populism in Europe, and its renewed focus on democratic and national sovereignty. Through both themes runs a general interest in the role of affect and emotions in social movements and political parties, and how social media affect political participation.